I never considered that it may be cheaper for a self-driving car to circle the block than to park. It may not care that it creates gridlock because gridlock is fine, nothing to do while the owner is away, so why park? With parking in NYC definitely at a premium (and traffic already pretty bad - they just passed a congestion fee surcharge for taxis and ridesharing vehicles as well) I don't see this going well in any older city with narrow streets. 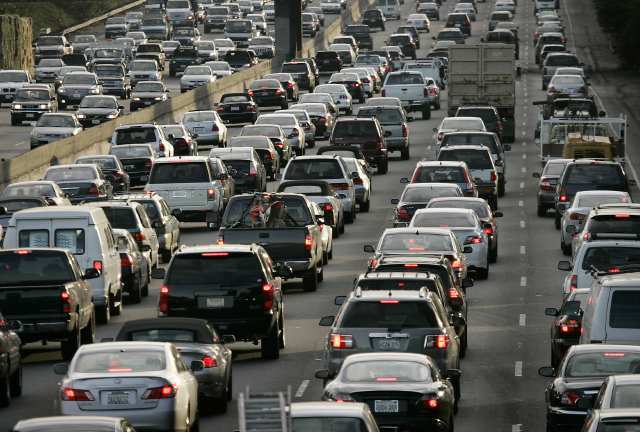 Or Los Angeles, where it's survival-of-the-fittest Darwinian driving. I don't expect to see autonomous vehicles as private cars in cities, except possibly at the very high end. More likely, they will be in fleets and offer on-demand transportation, like Uber or even taxis but with no driver. No need to park them at all if they go to their next pickup. I think this will be basic to the economics of their success--it will reduce the cost of transport while benefiting the environment. It might mean more cars on the road at once in dense urban areas, but there would be less need for parking spaces and inter-car communication could reduce congestion and improve traffic flow. I believe those were the hopes for Uber and Lyft for years but studies seem to show they increase congestion. One problem is they spend 40-60% of their time "deadheading" (circling without a passenger) to make themselves quickly available. Good point. I wonder though whether this might be less of a problem when the whole system scales up and becomes interconnected. OTOH, one concern I do have is the possible negative impact on public mass transit, which is more cost-effective and remains available to disadvanged people who may not have credit cards and cannot afford smart phone accounts. I wrote a lot about this in my current job. If they have the range there’s no incentive. In fact, knowing your car is circling the block is a huge advantage to the average commuter. The counter measure is rolling by the city: expect real time congestion pricing to be the norm in any metro area with a critical mass of self driving cars, say, 15-20 years from now. First we will replace parking spots with more lanes, though, as they’ll be abandoned. It will get worse for pedestrians at first, not better. Worse for traffic congestion too, unless cities think way ahead.